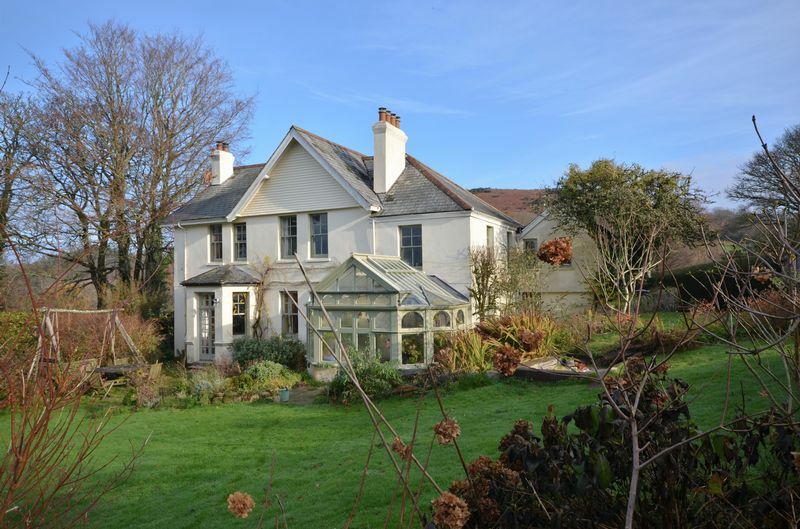 Greenbank is a lovely Dartmoor home just on the outskirts of Chagford, built in 1907 with high ceilings and large sash windows. 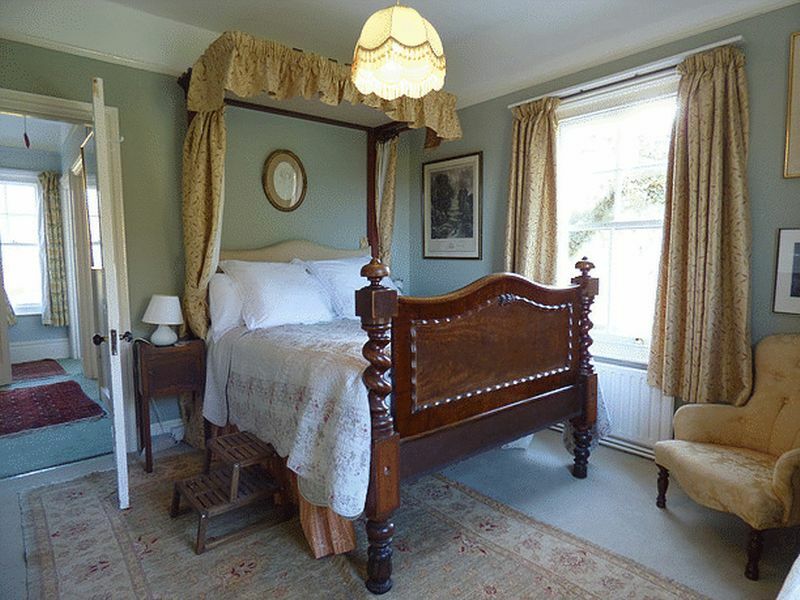 The accommodation offers four large double bedrooms and one single, two reception rooms and a lovely big kitchen with an Aga. The property has an annexe attached to it which was built in the 1950s but renovated and extended about 10 years ago. The annexe includes a large double bedroom with an ensuite shower room and beneath this there is a utility room and a downstairs w.c. 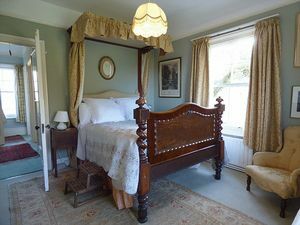 The house also includes a large mature garden with great views across Dartmoor and a recently restored Edwardian conservatory. 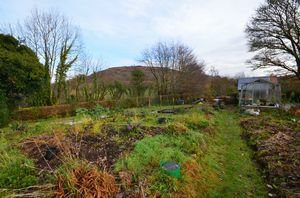 Attached to the garden is also a field which is about 1.56 acres. 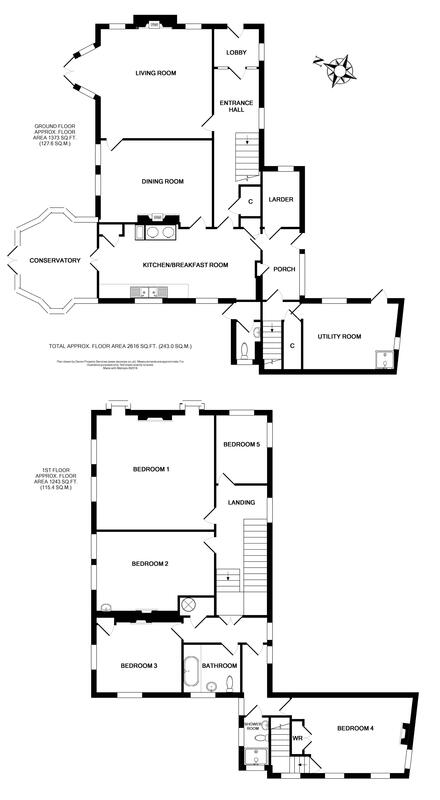 Fowlers strongly recommend viewing this wonderful home. Greenbank is set well back from the lane in the countryside up towards Meldon Hill but within walking distance of Chagford. It is just a 15 minute walk from the bustling town square which has a wide variety of day to day and specialist shops, four pubs, cafes and restaurants. The town has a primary school, pre-school and Montessori, a parish church, Roman Catholic church and chapel, a library, doctors, dentists and veterinary surgeries and a lively social round. 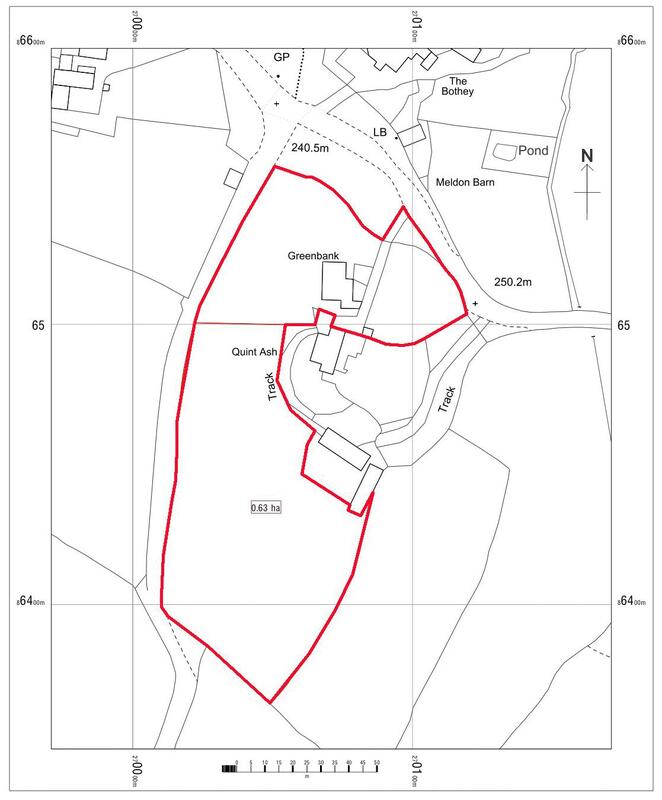 There is a football and cricket pitch with a pavilion, a bowling club, tennis club, skate park and an open air swimming pool in the summertime. Chagford is surrounded by countryside, riverside and moorland walks yet is only 5 miles from the A30 dual carriageway and just about 20 miles from Exeter. The front door is a wooden glazed door leading through into an entrance porch with a clay tiled floor and a large sash window. 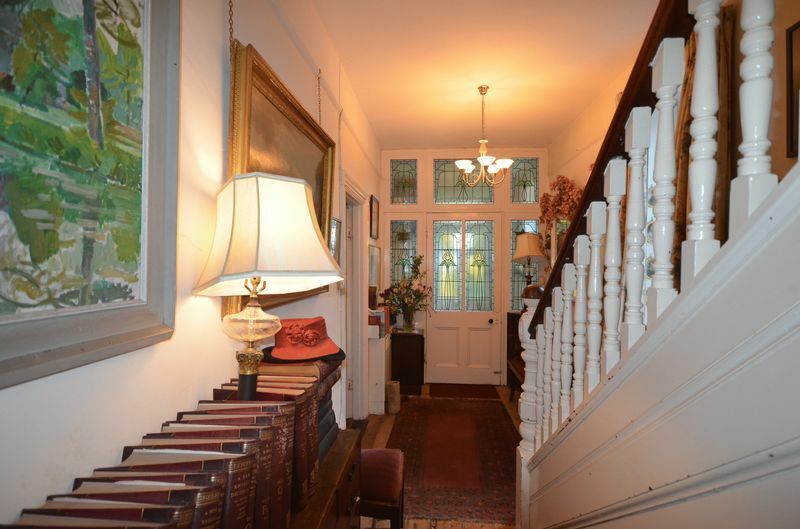 Leading through into the main hallway there is an arts and crafts style stain glass window with a tulip motif and lead lined panes. A very large sitting room with a bay window and glazed patio doors leading out onto the garden with very lovely views. 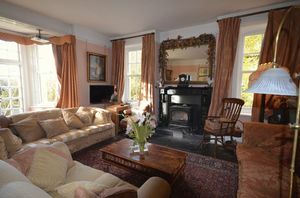 There are also two windows either side of the large slate fireplace which has a wood burning stove. 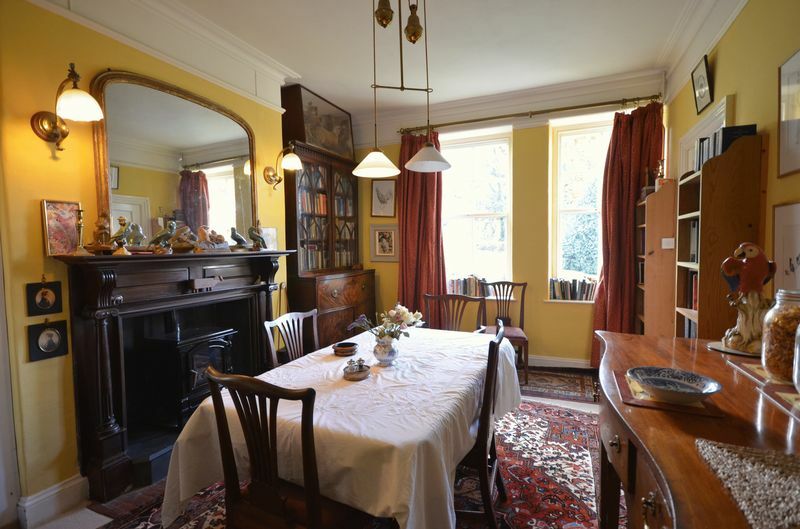 The dining room has two large sash windows facing south west with very good views of Cosdon Beacon and surrounding moorland. 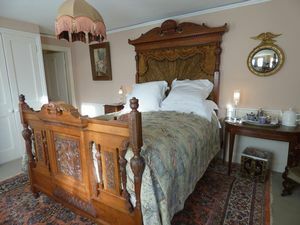 There is a wooden fireplace with ornate detail and a gas fired stove. 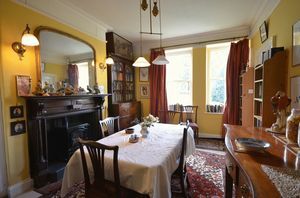 The room has plenty of space for a large dining table. 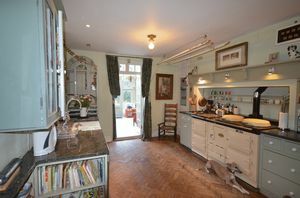 A large kitchen with hand made fitted wooden base and wall cabinets. The sink is a double bowl Belfast sink with granite work tops surrounding. There is also a large four oven oil fired Aga with an additional gas hob. 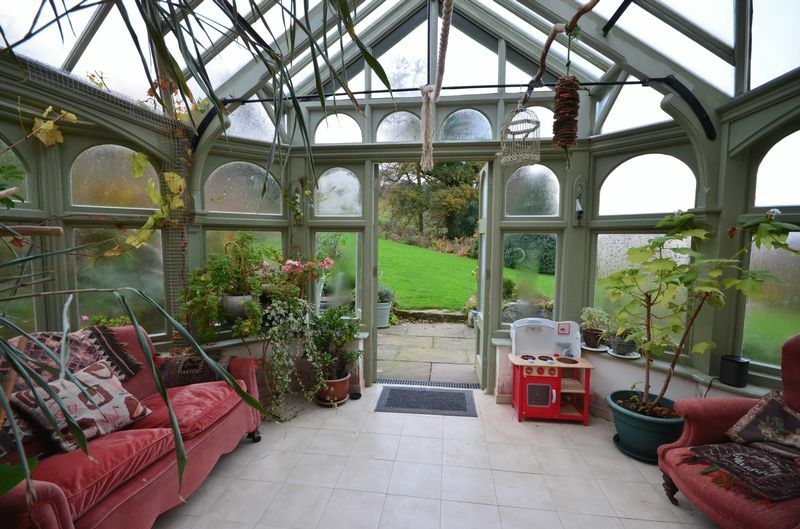 The floor is wooden parquet throughout with glazed French doors lead through into the conservatory. A recently restored original Edwardian conservatory with lovely views of the garden and out to the moors. The floor is tiled and underfloor heated. 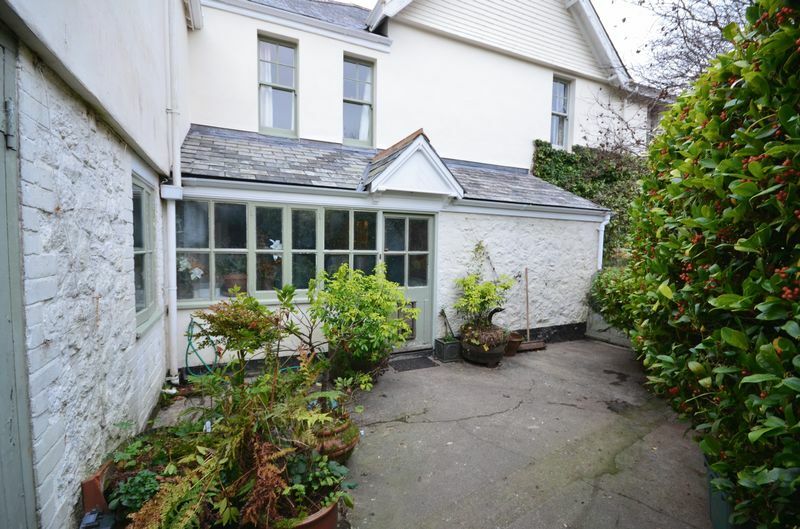 A pretty enclosed courtyard leads to the side entrance with a wall of glazed windows and door leading into the boot room. The floor is slate tiles and there are fitted cupboards and a Belfast sink. The boot room leads through to the back staircase and the larder. A large utility room with tiled floor with underfloor heating. There is plenty of space for a washing machine and tumble dryer. The utility also has a built in thermostatic shower and plenty of space for storage. 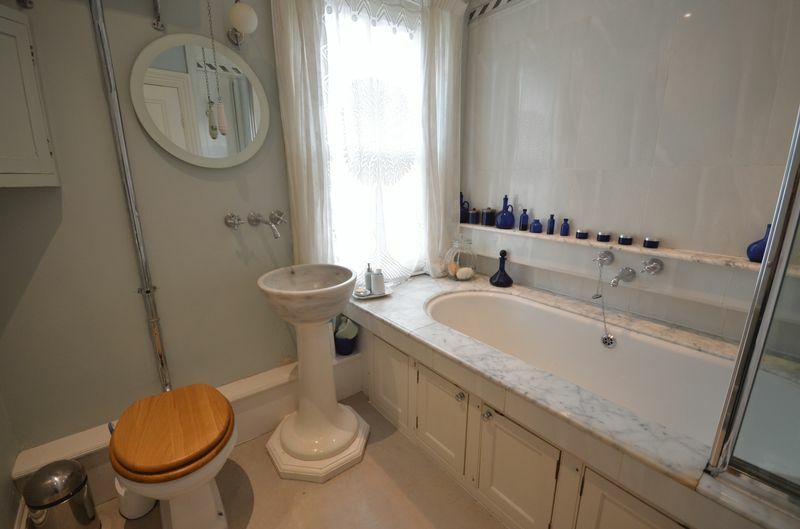 An original high level w.c. and a built in sink with panelled walls and slate flooring. 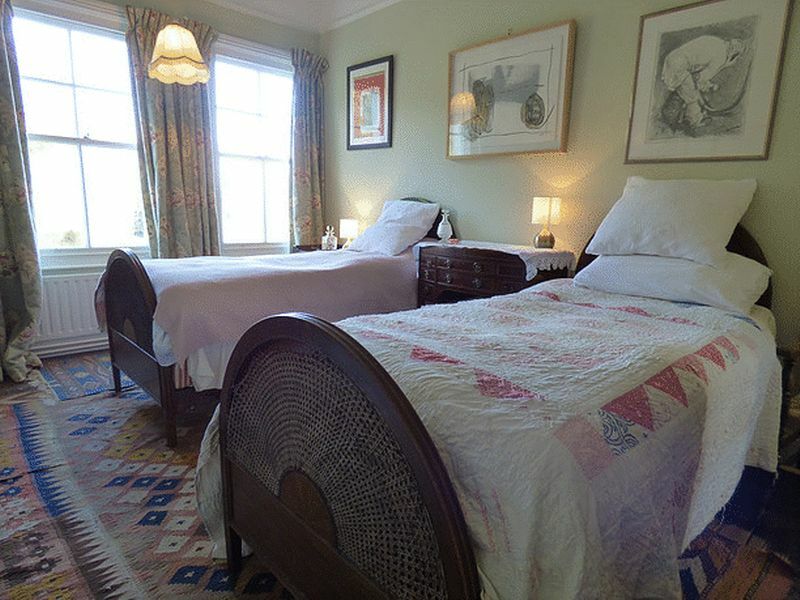 A double bedroom with two large sash windows looking out across to Cosdon Beacon. 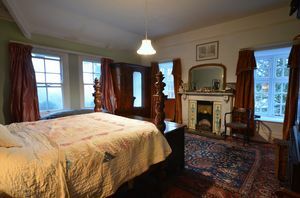 There is an original wooden fireplace with a cast iron hearth and tiled surround. 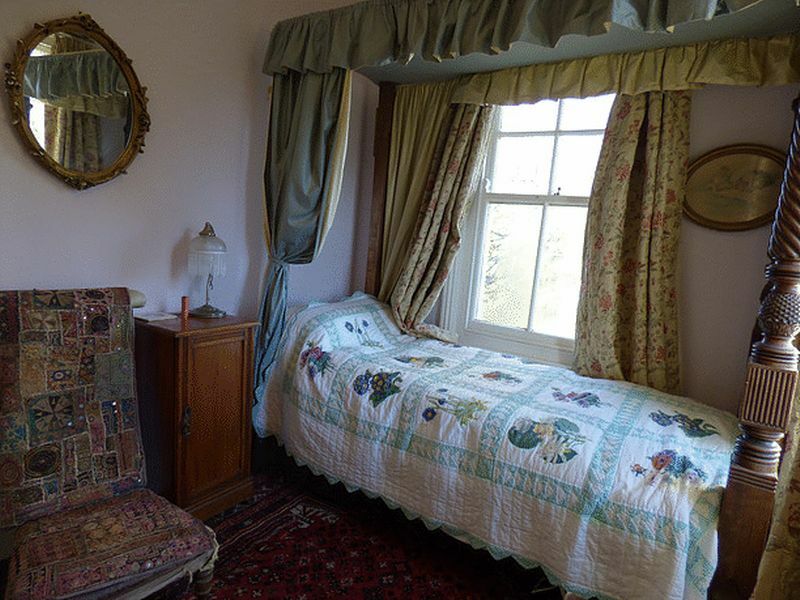 A very large bedroom with two bay windows and built in seats. 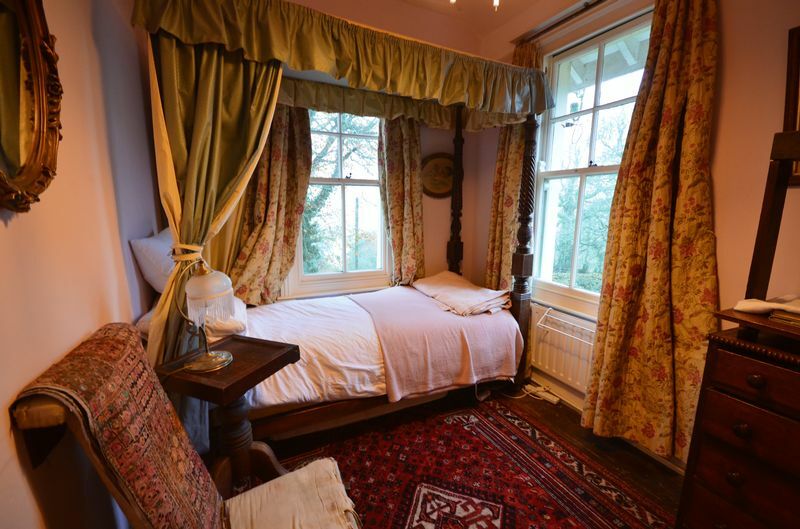 The room also has two large sash windows with lovely views. 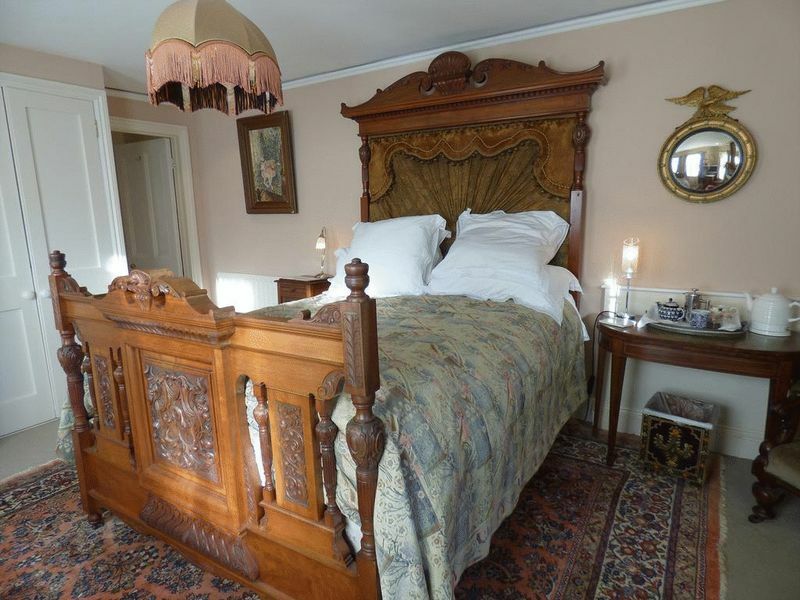 There is an original marble fireplace with a working open fire. A single bedroom with two large sash windows. The bedroom also has some of the plumbing in place to create a second bathroom. 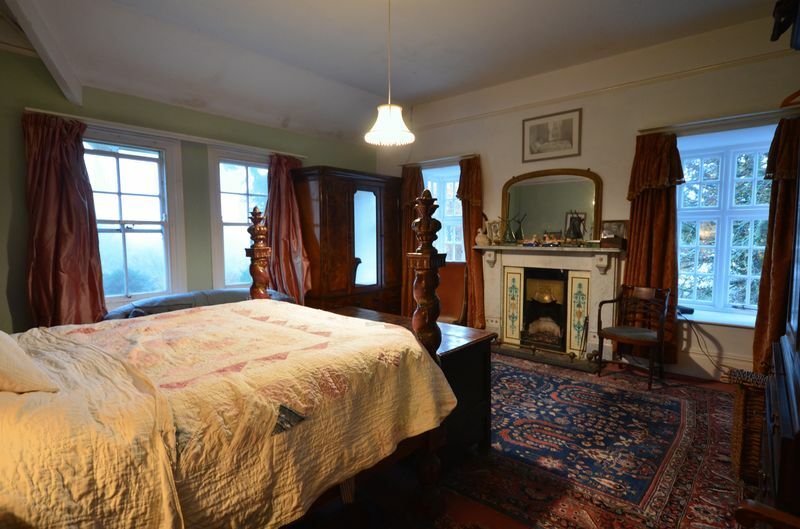 Double bedroom with dual aspect sash windows, a wooden and cast iron fireplace and built in wardrobe space. A smart bathroom with a high level w.c., a round marble pedestal sink and built in bath with a marble surround and cupboard space. There is also a built in thermostatic waterfall shower in the bath. 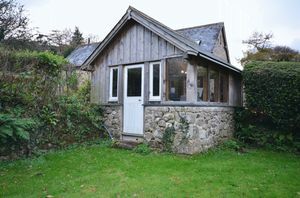 The Annexe can be closed off from the rest of the house and has separate access from the back hall and an ensuite shower room. Underfloor heated with a pedestal sink and w.c. There is a heated towel rail and a waterfall shower from the ceiling. This bedroom has three sash windows with views to Nattadon, a built in wardrobe and an electric fire in an original fireplace with built in bookshelves to the side. 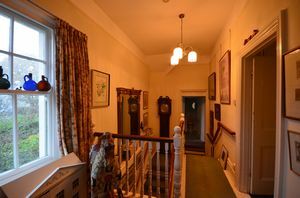 There is also access to the downstairs via a separate entrance. 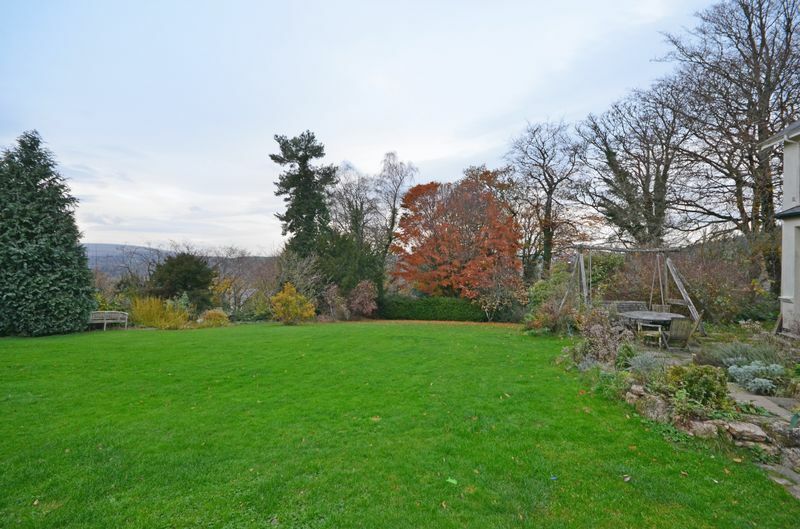 A large well established mature garden with great views. 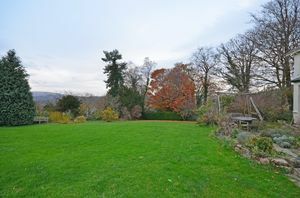 The garden has a south facing stone terrace area with lots of space for outside furniture. At the bottom of the garden there is a shed and an open woodshed. 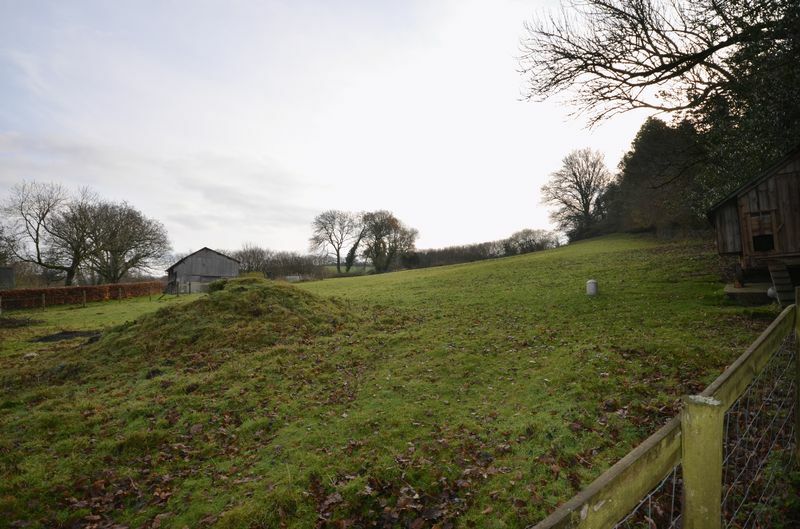 Adjacent to the garden there is a 1.56 acre field with a chicken shed. 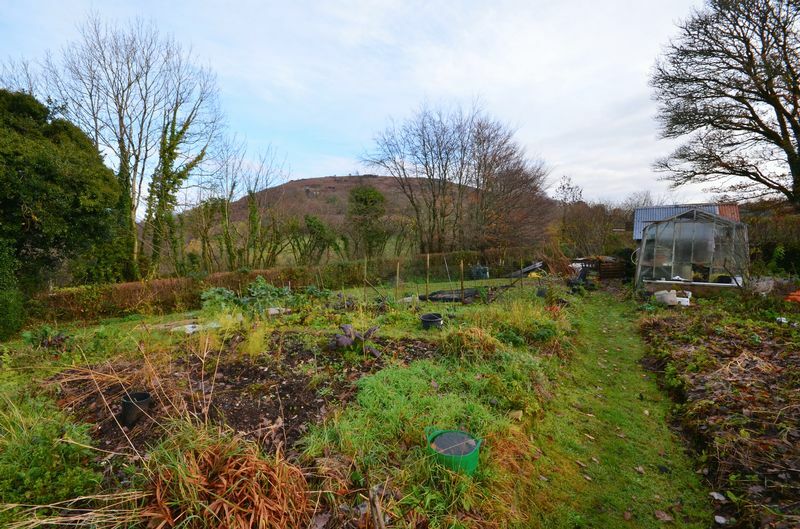 A large well established vegetable garden with a greenhouse and a potting shed. A timber framed office overlooking the garden with windows along one side there is also power and light to the study. From Fowlers turn left on the Square and carry on round the right hand bend onto New Street. 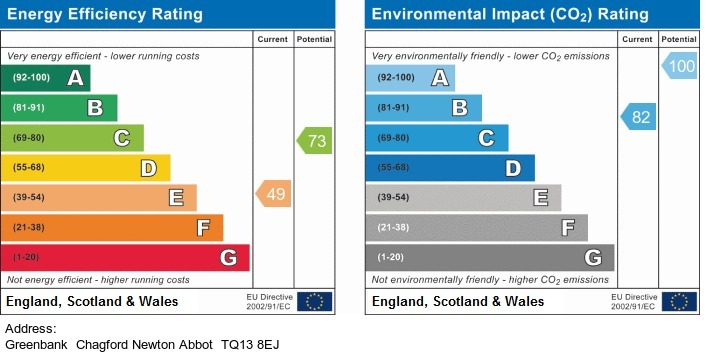 Drive to the end of New Street over the cattle grid and up Meldon Road for about a quarter of a mile and Greenbank will be on your right.